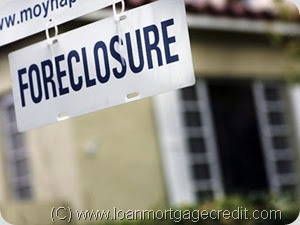 Dr. Boyce Real Estate: Obama's foreclosure prevention plan?! An article I just read saying that homeowners in trouble are having mixed results applying for President Obama's foreclosure prevention plan. Rivera applied in April to refinance his $352,000 mortgage, hoping to lower his 7% interest rate and save $600 a month. Though he can make his payments, he received no raise and only 20% of his usual bonus from a financial services company, where he works as a quality analyst. He could use a break on his monthly payments on the loan originally made by Countrywide. Rivera hit roadblocks from the start. He never received a call back from the first customer service agent at Bank of America, which bought Countrywide, despite leaving three messages. In May, he requested a different agent and was told because he has private mortgage insurance, he couldn't apply until the end of May. He called back in early June and was told to try again at the end of July. Now that interest rates are rising, he's concerned it won't be worth it to refinance. This process has been extremely frustrating, with a lack of returned calls from BofA, and me having to contact different loan officers," said Rivera, 48. "As a taxpayer whose taxes have been used to assist these large financial institutions, it is extremely frustrating, disappointing and discouraging to receive such a lack of assistance and poor customer service from these banks. Loan Modification is arguably the best tool that can be used by homeowners in the midst of financial hardship to save their homes from entering foreclosure.